The Doctor and Rose have arrived in an underground bunker near Salt Lake City Utah in the year 2012 where The Doctor discovers that they are in the middle of a museum that has tons of alien artifacts including a Cybermen head. They are soon captured by the guard and taken to Henry van Statten for questioning. 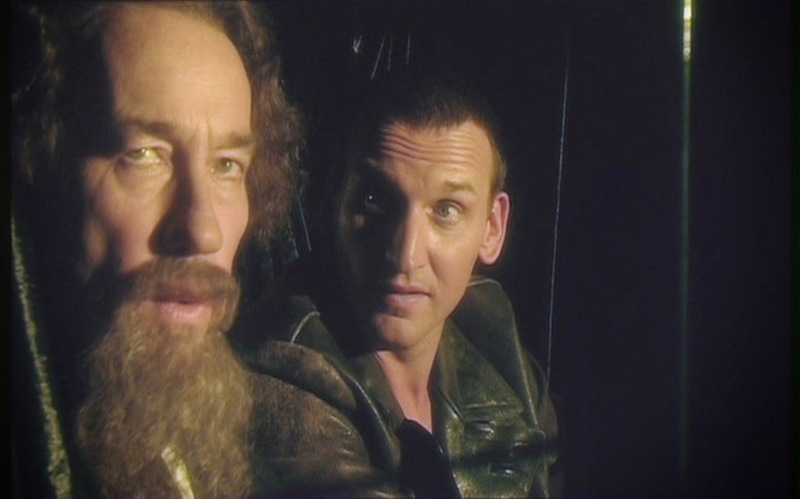 During questionng The Doctor discovers that van Statten isn’t interested in the uniqueness of the artifacts but to exploit them and keep them for his collection. It appears he also has a live specimen and The Doctor finds out that he too will be a part of his collection as he is an alien and the last of his race. Peter Davison was talking to Digital Spy and the question came up about a sequel for The Five(ish) Doctors. He had quite a bit to say but did not rule out a sequel which hopefully does happen sooner rather than later. Here is what he had to say about a potential sequel for The Five(ish) Doctors. Big Finish released a trailer for its upcoming box set and single release for their Novel Adaptions series. The two new adaptions is Gareth Roberts 4th Doctor story The Well - Mannered War and Russell T. Davies 7th Doctor story Damaged Goods. Digital Spy conducted an interview with Steven Moffat at the BAFTA's this past weekend in which he talks about the Series Nine, Peter Capaldi's Doctor and Jenna Coleman's Clara. As usual he does not give anything away so this interview is spoiler free. The Doctor has bypassed the Randomizer on the TARDIS to return a couple of library books back to London in 1930. But all is not what it seems as a biscuit millionaire is hiring assassins and a sea side hut holds a secret that is beyond strange. The Doctor’s plans might be forced to change as trace of time pollution is detected. There is also a strange smell in the air a smell The Doctor deuces could mean the death of everyone on Earth. 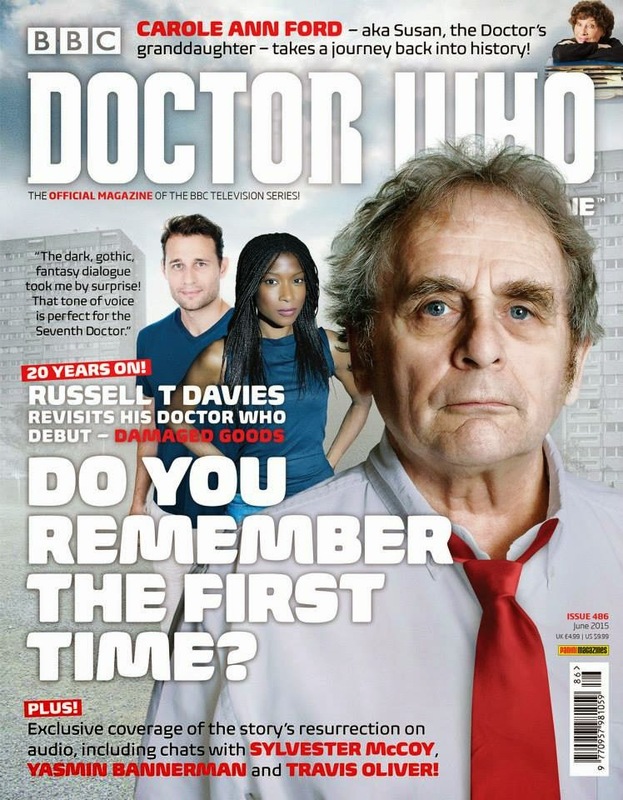 The new issue is out this Thursday April 30th in the UK and features an interview with Russell T. Davies on his 7th Doctor story Damaged Goods. Series 8 of Doctor Who has won a BAFTA and they won it for having great SFX. They took home the trophy for the Special, Visual and Graphic Effects and it is the second year in a row that the SFX companies Milk VFX and Real SFX has won one. 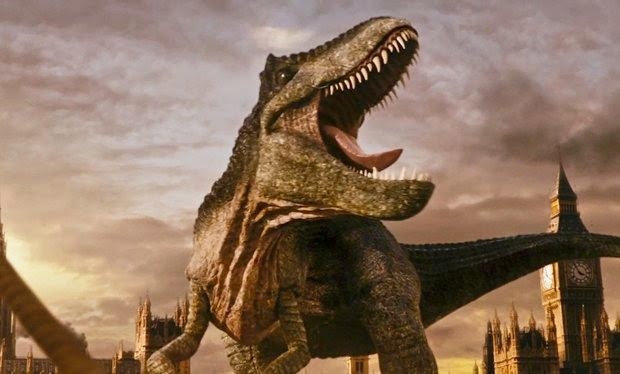 The effects that helped secure the BAFTA are the T- Rex in the Thames and the creature hatching out of the moon. 'Ex Machina' Review: I Robot, You Jane? 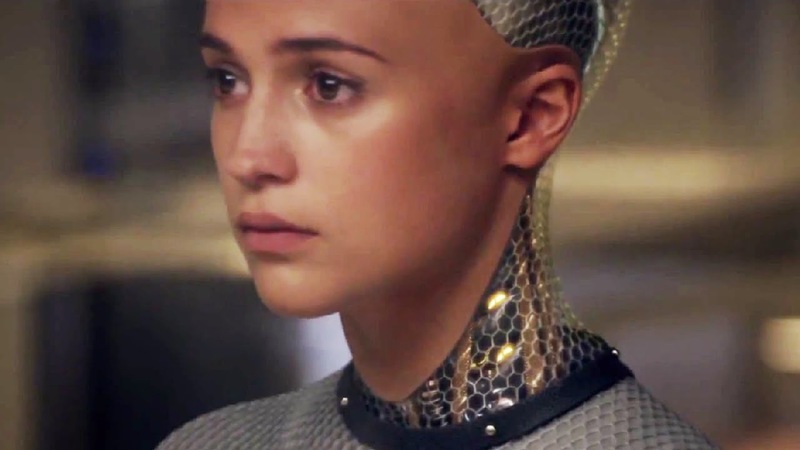 A pretty face (Alicia Vikander as Ava) is only part of the story in "Ex Machina." A funny thing happened on the way to Sci Fi Blockbuster Season - a movie that is definitely worth your time hit theaters to little acclaim. If you've been overwhelmed by the publicity and rumors surrounding "Avengers: Age of Ultron," "Mad Max: Fury Road," "Star Wars: The Force Awakens," "Terminator: Genisys," "Tomorrowland," "Fantastic Four," "Ant-Man" and a certain superhero movie that doesn't come out for nearly another year (we're looking at you, Clark Kent and Bruce Wayne), you may have missed the artistic and critical success that is "Ex Machina." No, the future of all humanity is not at risk (not yet, anyway). No, you're not going to witness spandex-clad heroes battling armies of high-tech warriors (although artificial intelligence is the centerpiece of the plot). Instead, "Ex Machinia" is smartly written, well-acted and edgy. In other words, it's an actual Movie rather than an Event. Out now in the UK is the third issue of the Doctor Who comic magazine which continues the three stories for the 10th, 11th and 12th Doctors. Below is a trailer for the comic book. The year is 1907 and The Doctor and Leela are cut off from the TARDIS when the path they are walking on is covered up by the ocean when the tide came in. Stranded on a small island The Doctor and Leela find sanctuary in a castle where members of the Caversham Society have gathered to on the 100th Anniversary of the death of Mannering Caversham who was the greatest Magic Lanternist who ever lived. With a slew of high profile sci-fi movies coming out this year like The Avengers: Age of Ultron, Mad Max: Fury Road, Terminator: Genisys and Jurassic World, one can be excused to forget about the biggest release of the year, mostly because it is still many months away from coming out. But we won't be forgetting about Star Wars from now on. Expect an ever increasing level of promotion and coverage about Star Wars from now on. Star Wars: The Force Awakens – Obviously the big news for this was the release of the trailer. 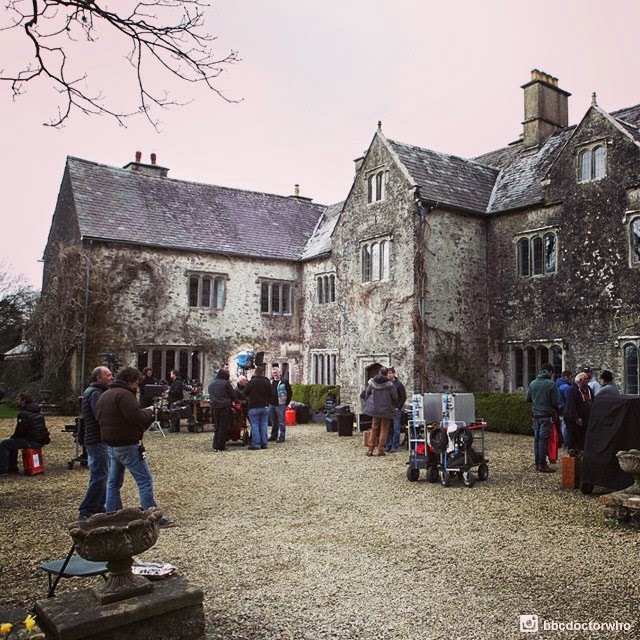 Here is the next batch of filming pics from the Official Doctor Who Instagram site. There are two images that are spoilerish so don't say you weren't warned. When Colonel Alistair Lethbridge-Stewart of the Scots Guard is recalled from Libya to help combat the Yeti incursion in London, he finds himself on the frontline fighting robotic soldiers of an alien entity known as the Great Intelligence. 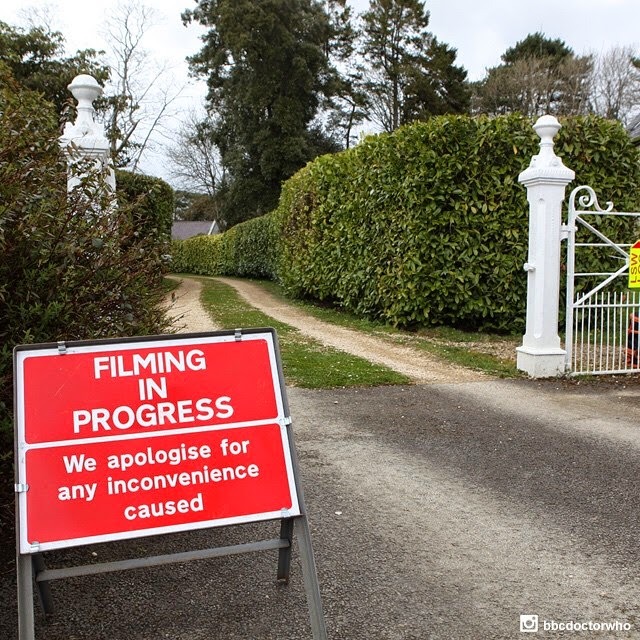 With the British Government still reeling at this proof of alien life, what connects these events to the events to the seemingly quiet Cornish village of Bledoe? 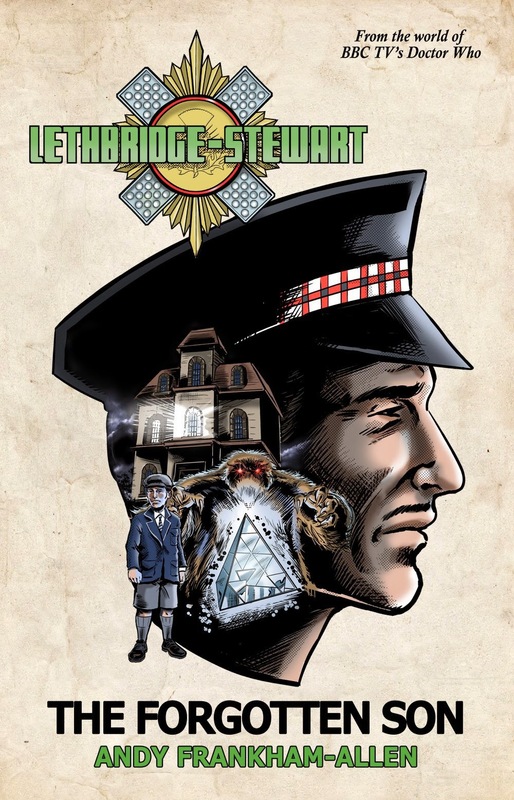 And what has all of this to do with Lethbridge-Stewart? The Forgotten Son is a unique book. It captures the tone of modern Doctor Who novels but also mixes in a nostalgic feel comparable to the Target novelizations of old. Some Series Nine news. 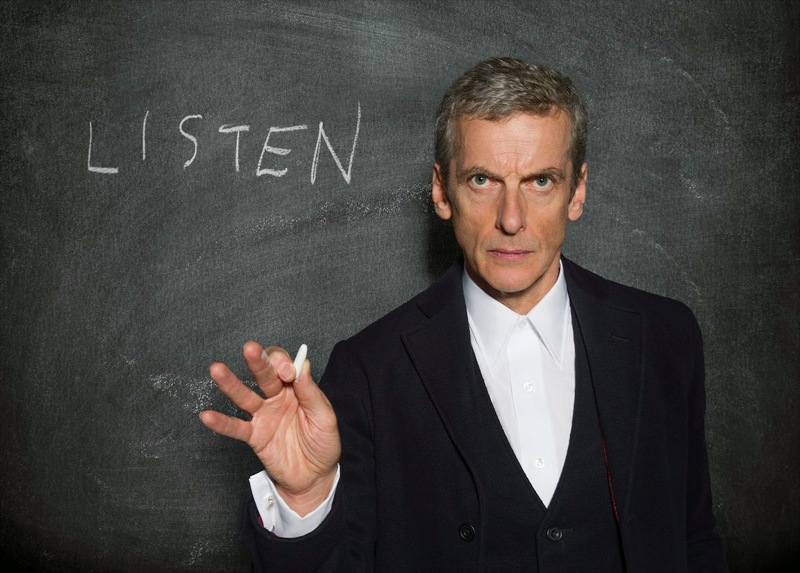 Den of Geek is reporting that David Schofield has been cast in Series Nine of Doctor Who. Now for those who do not want to know who they think he will be playing do not read any futher. 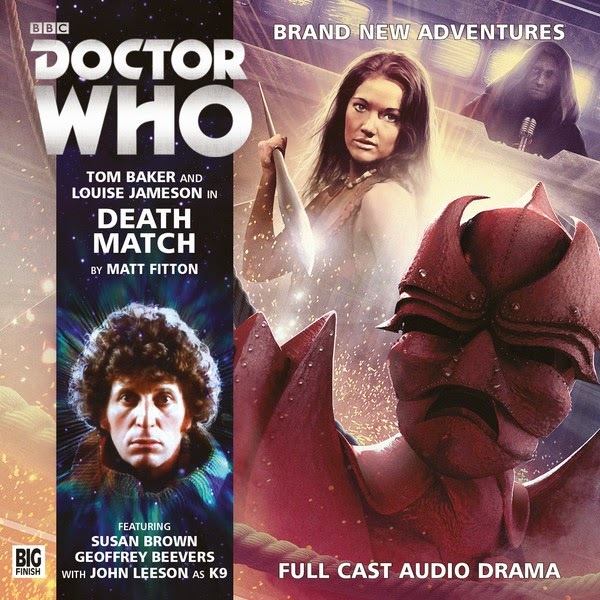 This months 4th Doctor audio sees The Doctor and Leela going up against The Master yet again as they find out he is very much alive following their last encounter with him last month. You can order this release from the Big Finish website. The Death-Match is under new management. The Hunt Master's Champion has been installed. All regular players are welcomed back to the Pursuit Lounge to observe the contest in luxurious surroundings. Privacy is assured. 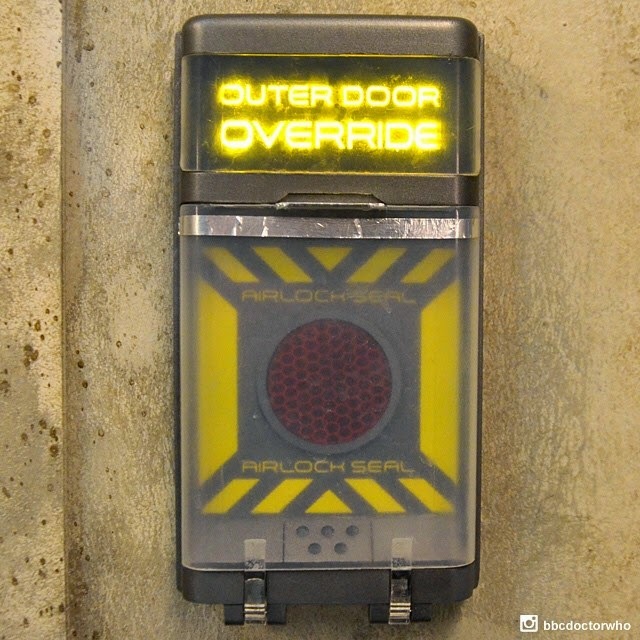 For this reason we ask our elite guests to abide by the strict security protocols. Please note, the house has no limits. "Does this hurt? I hope so." Let's set some simple ground rules for this review of the new "Daredevil" series on Netflix. As you probably know, "Daredevil" is the first step being taken by Netflix to create its own little corner of the Marvel universe. More series with more characters are part of the plan. And, "Avengers"-like, they will become a team. We don't care about any of that. Not yet, anyway, because none of it is going to happen unless "Daredevil" makes us care about the downtrodden residents of New York's Hell's Kitchen. 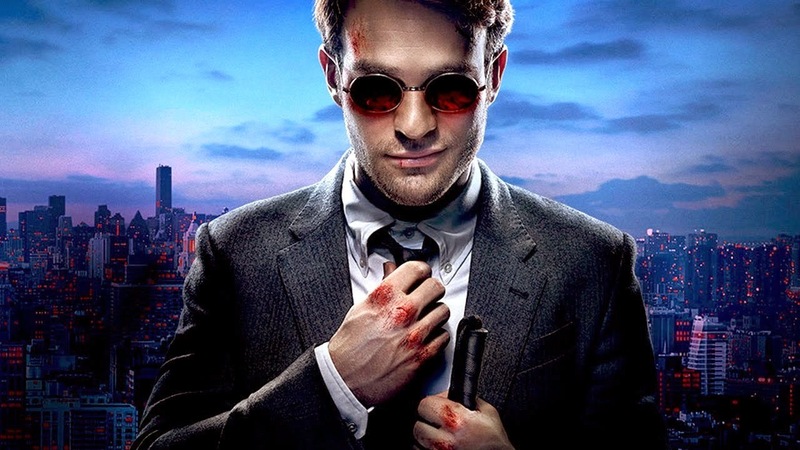 Based on the first two episodes (Netflix has released 13 for streaming), "Daredevil" easily stands on its own as an outstanding superhero crime series, thanks largely to star Charlie Cox. "Superhero" is used loosely because he possesses none of the usual comic book powers (strength, flying, speed). When young Matt Murdock is blinded in an accident, he gains heightened senses that make him keenly aware of his surroundings. By night, Murdock becomes a masked vigilante. By day, he and Foggy Nelson (portrayed by Elden Hanson) are partners in a small law firm struggling to make ends meet. Big Finish has released the details for its upcoming 1st Doctor box set which is a continuation of the popular Companions Chronicles. It features four companions from the 1st Doctor era and is out in June. 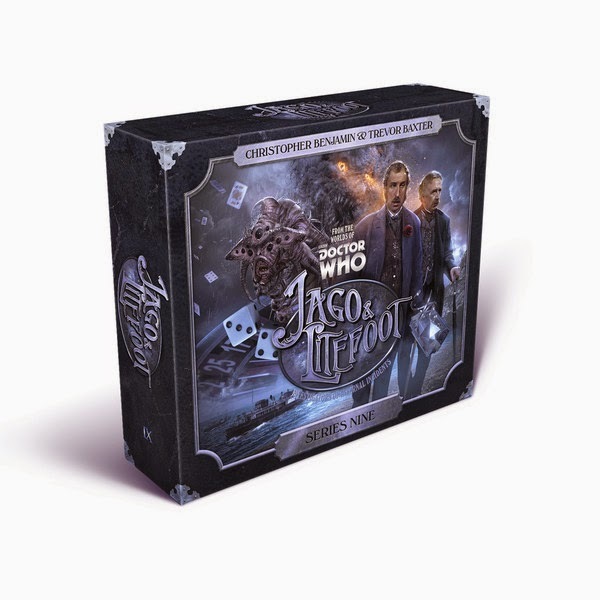 You can preorder this box set from the Big Finish website. 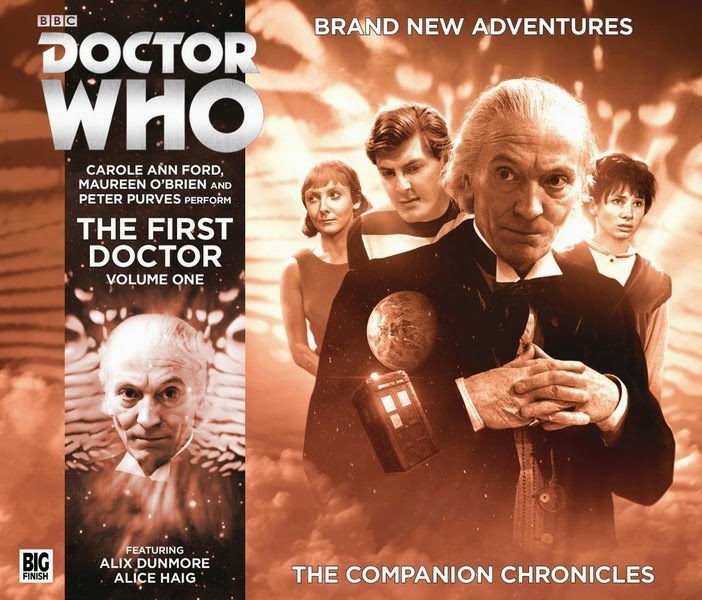 A new four-disc release featuring four tales from readers associated with the First Doctor era, and a second actor. When the Doctor falls ill, Susan is forced to leave the safety of the TARDIS behind. Exploring a disused research centre in search of medical supplies, she becomes embroiled in the deadly plans of a terrorist holding an entire world to ransom – and the soldier sent to stop him. Office life is tough, the commute is a grind, nothing works quite as well as you'd like. Vicki seems to remember things being better once, before the little flat. It’s time she put some excitement back in her life. It’s just a shame the Doctor can’t help. 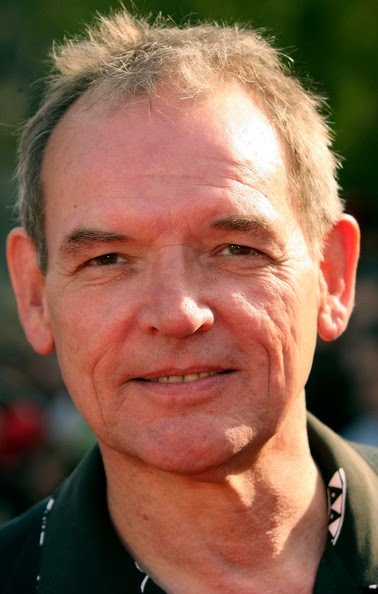 LI Who has added Jemma Redgrave who plays Kate Stewart in Doctor Who. She was in series 8 and will be in series 9 and it should be interesting to hear what she has to say about acting with four Doctors. You can get your tickets at the LI Who website. The Doctor returns Rose home in which he believes she has been gone for 12 hours which it turns out to be 12 months instead and it caused quite the furor. Jackie was livid as she thought Rose was kidnapped and even went as far as accusing Mickey of murdering her. Needless to say this was not the homecoming that Rose had expected and it was another goof by The Doctor that resulted in all this. Then all of a sudden an alien ship crashed to Earth hitting Big Ben before crashing into the Thames. This has gotten The Doctor’s spirits up as he now has something to investigate and to get away from the domestics. What he finds is a pig. A normal pig that someone has augmented his mind to make people think it is an alien. 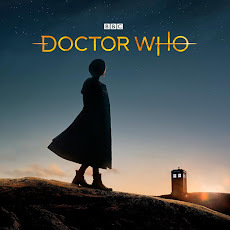 Doctor Who will be airing on Disney XD in the US and I think this is a good way to get a younger generation into watching the show and hopefully the continue with it and seek out the show on BBC America. It is also a good move as BBC America is a premium channel and now the show can gain a larger audience. Lets hope they add Matt Smith and Peter Capaldi episodes in the future. Below is the press release. BBC’S ICONIC SCI-FI DRAMA "DOCTOR WHO"
BBC's world-renowned science fiction drama "Doctor Who" will premiere on Disney XD beginning SATURDAY, MAY 9 (9:00 p.m., ET/PT). 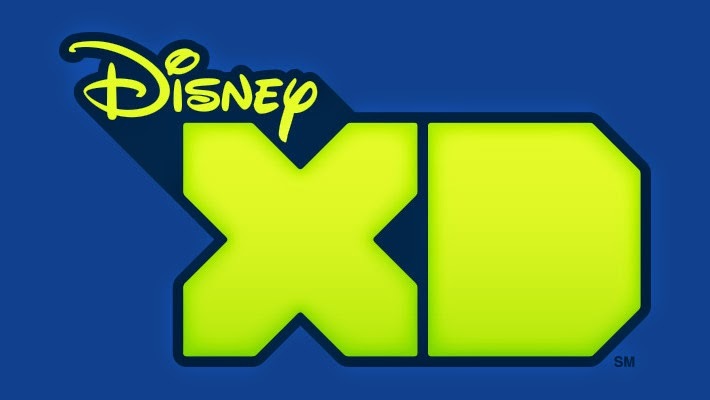 Disney XD, home to other top-rated action adventure programming including Lucasfilm's "Star Wars Rebels" and Marvel Television's animated series, has picked up seasons two through four of the global sci-fi hit. The landmark series depicts the adventures of the Doctor (played by David Tennant), a Time Lord who travels through space and time in his TARDIS combatting various enemies to save civilizations around the universe. 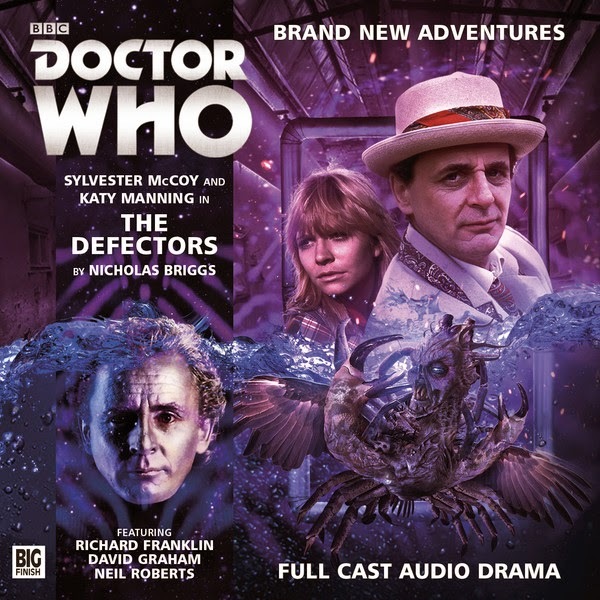 Out now is part one of three that will be part of the celebration to Big Finish's 200th main range release. This month sees the 7th Doctor teaming up with Jo Grant. You can order it from the Big Finish website. Jo Grant is shocked to find most of her colleagues are missing. Then she discovers that the Doctor has inexplicably changed. But there’s no time to worry about it, as she and her misplaced Time Lord friend are whisked to the mysterious Delphin Isle on a matter of national security. There, they encounter a disturbingly odd form of local hospitality and learn of a highly classified incident that took place during the Cold War. Why exactly have they been brought here? And what is the truth concerning the bodies in the harbour and the vast project being undertaken beneath a cloak of secrecy? 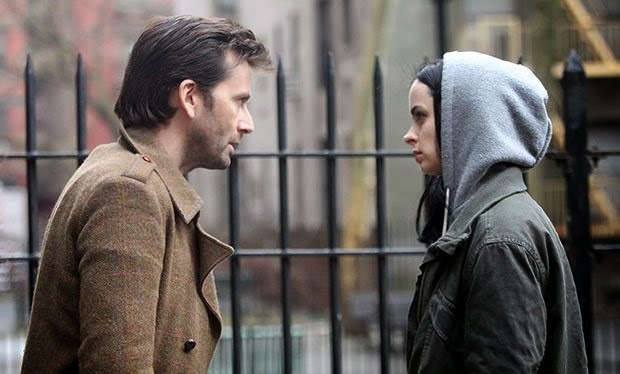 One of the next Netflix Marvel series AKA Jessica Jones has started filming and we now have pics of former Doctor David Tennant as The Purple Man. My question is why David Tennant is not purple. A new special coming from Doctor Who Magazine exploring the art of Doctor Who from the 60's to today. This looks like a nice one to get. 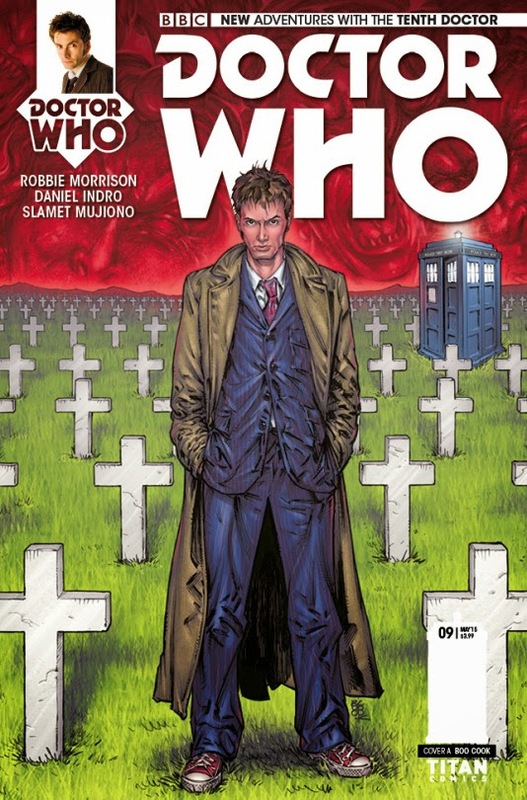 The third Doctor Who comic book coming out this Wednesday is the Tenth Doctor issue nine and so far this is the best storyline going on in the four Doctor Who comic book series. 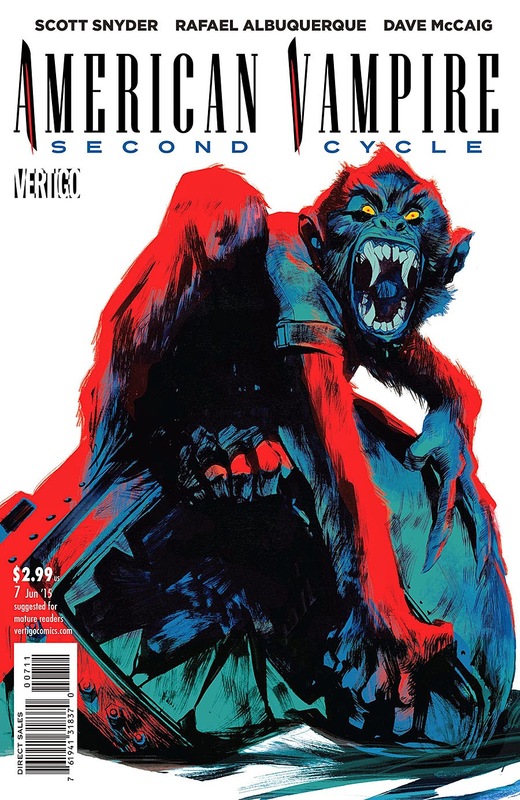 Issue nine sees the conclusion to the World War One Weeping Angel story. THE FINAL CHAPTER OF THE GREAT WAR! Trapped in No Man’s Land. Surrounded by Weeping Angels on all sides. Bombarded by artillery both British and German. No weapons of any use. No protection against the cold. Tired, hungry, and walking wounded. 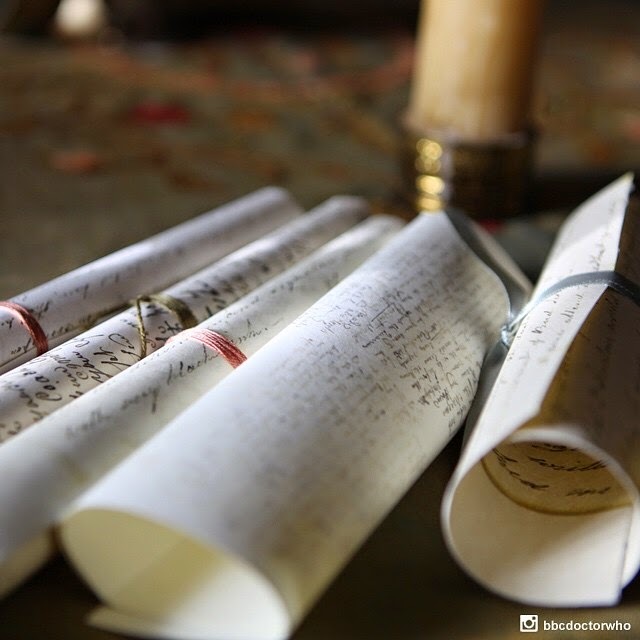 The Doctor Who Instagram page has released a couple more mysterious pics for us the ponder over. These are pretty easy to figure out. Daredevil enters the battle swinging – Marvel's Daredevil was released on Netflix on Friday April 10 and I have to say – what a shame. What a shame that this show is not on a prime network. I managed to catch the first episode and it is excellent. Taking place in the same Avengers Universe, Daredevil manages to remind us that it is part of that same universe in a very subtle way. There is no name dropping in this series. The main characters don't know the Avengers. This small scope series centers on Matt Murdock, who is taking justice in his own hands as Daredevil. He is a well trained fighter who happens to be blind but has heightened senses. The opening episode has a great story and pace with incredible visuals (I love the color scheme). This series, all 13 episodes are available on Netflix now, from what I can tell, is as good as any of the other Marvel series and that is excellent. 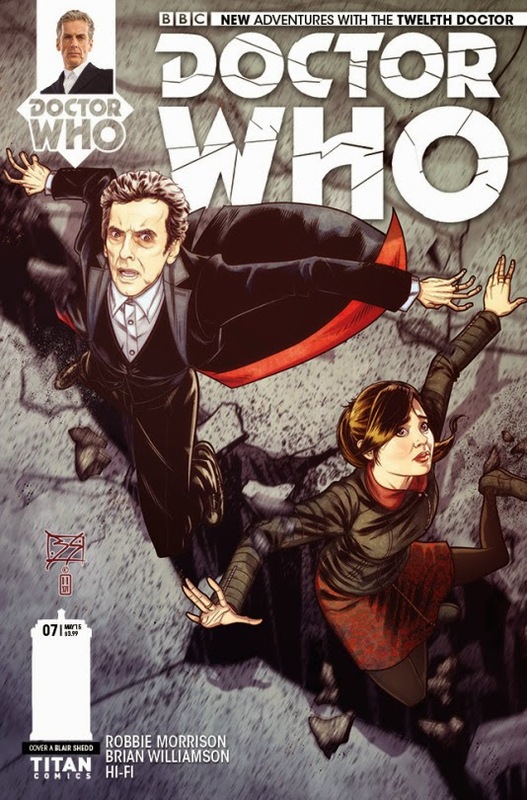 Out this Wednesday is the second of three Doctor Who comic books and this one sees the 12th Doctor and Clara taking on the Fractures. On our Earth, UNIT scientist John Foster was killed in an accident… but in a parallel universe, his wife and daughter were killed, while that world’s John Foster survived. One thought kept that John going through his grief – somewhere out there, in some other reality, his wife and daughter still lived. 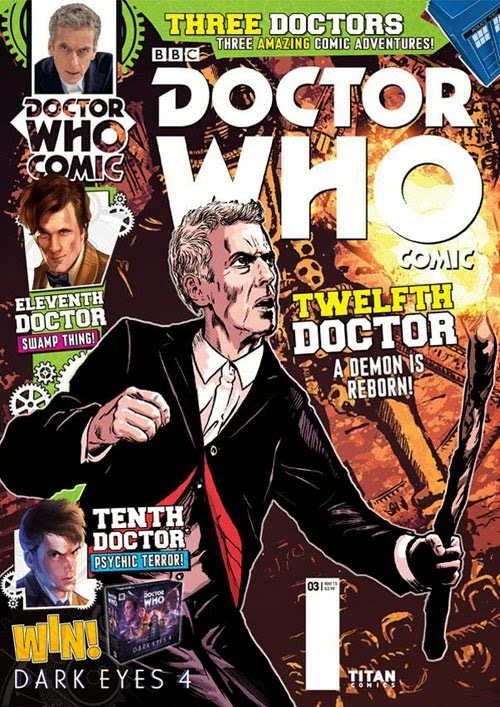 Out this Wednesday will be three Titan Doctor Who comic books and today we will preview the 11th Doctor Who comic Book. The Doctor, Alice and Jones were getting used to having ARC around. A shapeshifter whose origins are shrouded in mystery, ARC still saved their lives time after time. 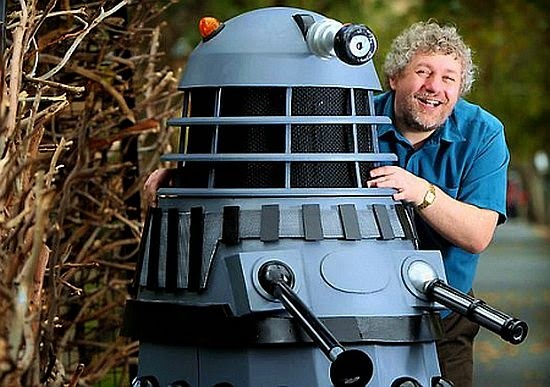 For those attending LI Geek this year you will be able to meet the writer of one of the best Dalek stories of NuWho Robert Sherman. 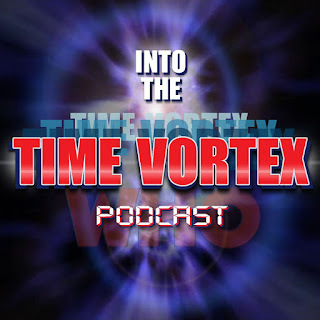 Robert Sherman will be attending on Sunday only and it should be interesting to hear him talk about writing for Doctor this year which celebrates 10 years since his story Dalek aired. The Press release is below and you can get your tickets at LI Who website. Rob Shearman is making his first Long Island Convention Appearance at LI Geek (Sunday only). Robert Shearman has written for television, radio and the stage. His award-winning plays include Fool to Yourself, which premiered at the Stephen Joseph Theatre in 1997 and won the inaugural Sophie Winter Memorial Trust Award. Easy Laughter, which was produced in Los Angeles by Francis Ford Coppola’s American Zoetrope group and won the Sunday Times Playwriting Award. His play Coupling won the World Drama Trust Award and Binary Dreamers was given the Guinness Award for Theatre Ingenuity, in association with the Royal National Theatre. He has written many radio plays for the BBC, and his interactive drama series for them, The Chain Gang, ran for three seasons and won two Sony Awards. He has written five short story collections, and collectively they have won the World Fantasy Award, the Shirley Jackson Award, and three British Fantasy Awards. 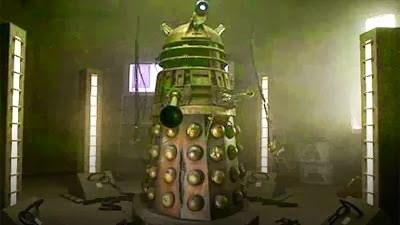 He is best known as a writer for the television series Doctor Who, reintroducing fan-favorite villains the Daleks to the screen in its BAFTA winning first series in an episode nominated for a Hugo Award. Rob comes to us via the Dirt [contained] Theatre Company who are presenting the New York premiere of EASY LAUGHTER, the Sunday Times Award-winning play written by Robert Shearman, a Shirley Jackson and World Fantasy award winning author and Hugo-nominated writer for the hit BBC series Doctor Who. The controversial satire, directed by Stephen Massaro, will open on April 30 at the Alchemical Theatre Laboratory on 104 West 14th Street in Manhattan and run through May 10. Dirt [contained] co-founders Tana Sirois and Maria Swisher said EASY LAUGHTER was perhaps “more relevant today than when it was written: boldly confront ing xenophobia, extremism, state surveillance and government control.” Tickets are available at: easylaughter.brownpapertickets.com and for more information visit: dirtcontained.com. The TARDIS arrives in the CAGE – not a trap, but the College of Advanced Galactic Education, one of the most prestigious academic institutions in colonised space. Not a trap. Or is it? The Doctor’s here to receive an honorary degree in Moral Philosophy. But there’s something rotten at the heart of the Medical Facility. Someone is operating on the students. Someone without a conscience. Someone with access to a Sidelian Brain Scanner – a technology that hasn’t been invented yet. 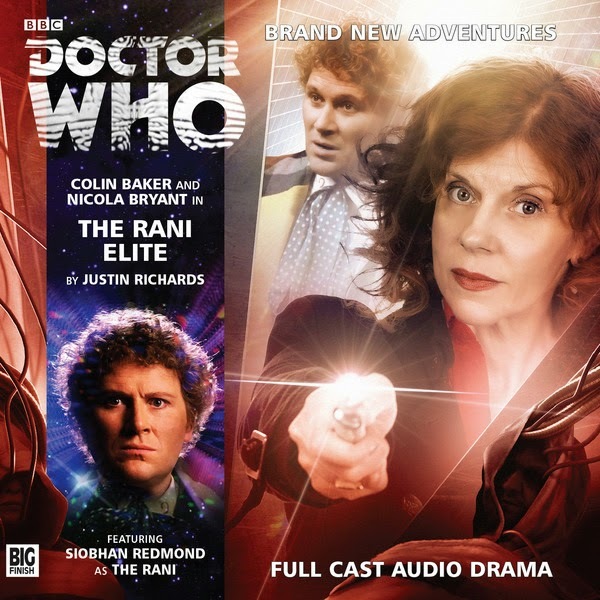 That someone is the ruthless Time Lord scientist known as the Rani – in her new incarnation. But will the Doctor and Peri recognise the Rani’s hand before her trap is sprung? Big Finish will be releasing the next batch of Novel Adaptions on download only a little bit earlier than their May release. 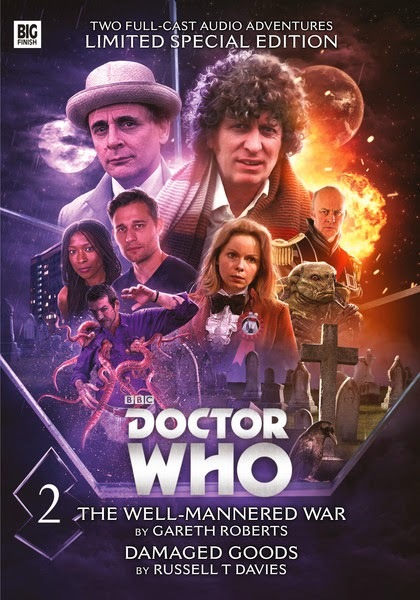 They will be releasing The Well - Mannered War and Damaged Goods on Monday April 13th exclusively through the Big Finish website. The harcopies will be released on the original release date and they will keep the preorder price till the original release date. For more information check out the press release on the Big Finsh website. The Unquiet Dead was a Christmas themed Doctor Who adventure that has all the charm of the recent Christmas stories. Even though it wasn’t aired on Christmas Day it sure would have been at home if it was. The story takes place on Christmas Day in Cardiff to the dismay of The Doctor and Rose as they were hoping for Naples instead. 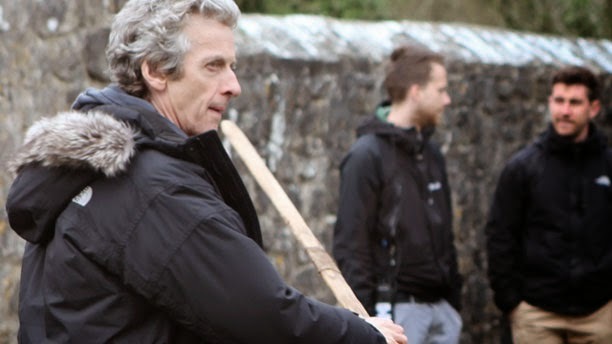 The Doctor Who Instragram page has released another set of cryptic behind the scenes filming pics. You'll have to use your imagination to see what they could be for but a couple are pretty easy to figure out. 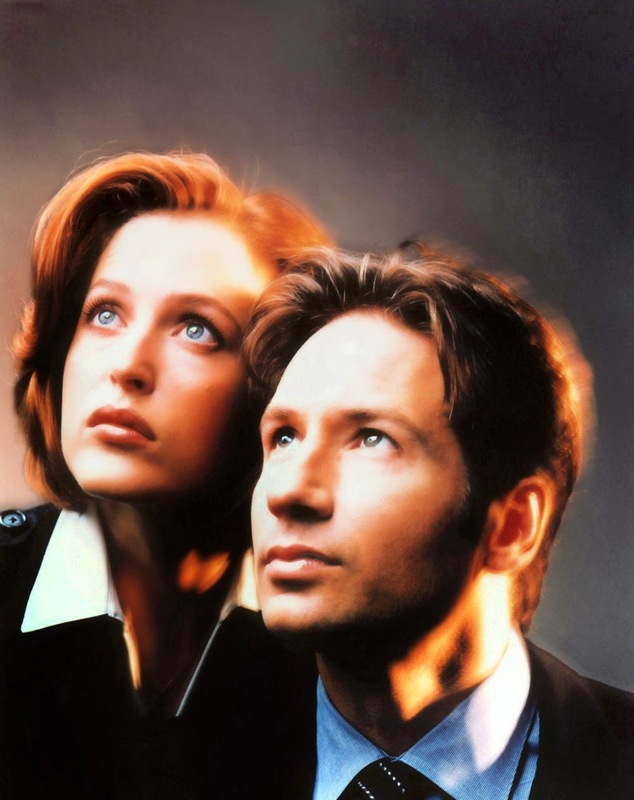 The X-Files Returns – Lots of shows are coming back lately. Heroes and Twin Peaks are headlining the return but they all pale in comparison to The X-Files. Twin Peaks might have been groundbreaking and Heroes had a lot of potential but The X-Files was a huge phenomena for years and has set the stage for many shows today like Supernatural and Grimm. Original series creator Chris Carter is back to work on six episodes which will begin production this summer. David Duchovny and Gillian Anderson will reprise their roles as Mulder and Scully. No word on when the series will air on Fox or if the show is meant to re-launch a new full series. My memories of The X-Files are mostly good memories. My wife and I have been watching the series over the past couple of summers and have enjoyed the good and the bad. I personally felt the conspiracy surrounding UFOs and the government went too far in the series. It would build up to a reveal and that would end up being false and that would repeat every season. I felt the show was better in the stand alone stories. This is just a curiosity for fans. The link below is to a short film entitled Flight of Fancy which features some footage of a plane doing, well, plane things like taxiing down the runway and flying. 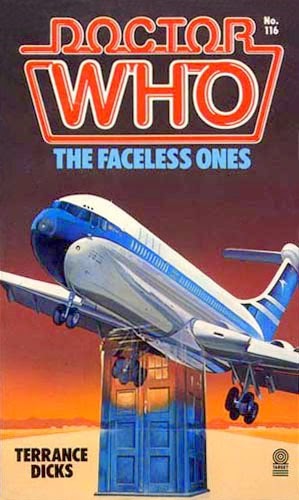 The BBC used this footage of that plane for the 1967 Doctor Who story - "The Faceless Ones". It has been 4 years since we started the blog and almost 28 years since our Knights group was formed. 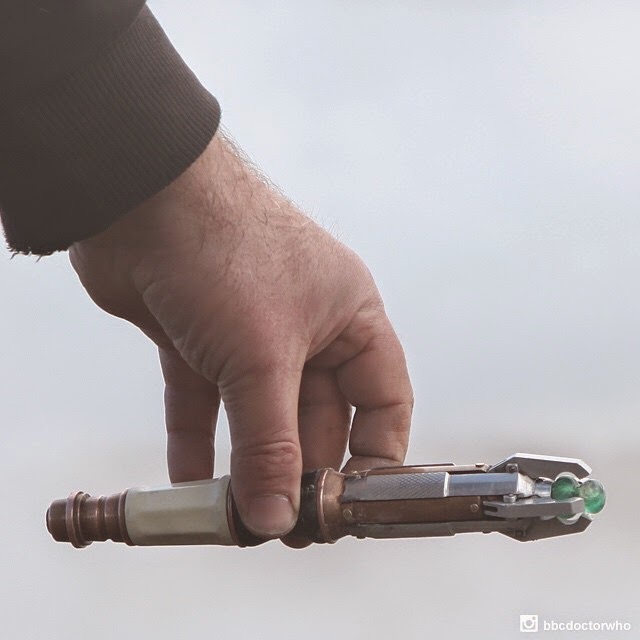 Since the beginning we have provided a variety of news, articles, reviews and opinion concerning Doctor Who and other sci-fi and fantasy TV, movies and books. Whether it was on the pages of our paper copy newsletter or our e-mailed newsletter or this blog site, our content has usually been based on what our contributors did for us. 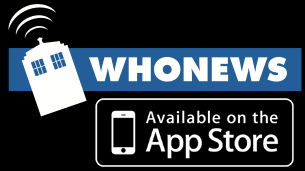 We would make sure we covered most Doctor Who news and reviews and when we could, we would follow other franchises and products. One of my personal favorites is the work of Gerry Anderson and so when searching back through our archives you will probably run into a fair amount of that topic. 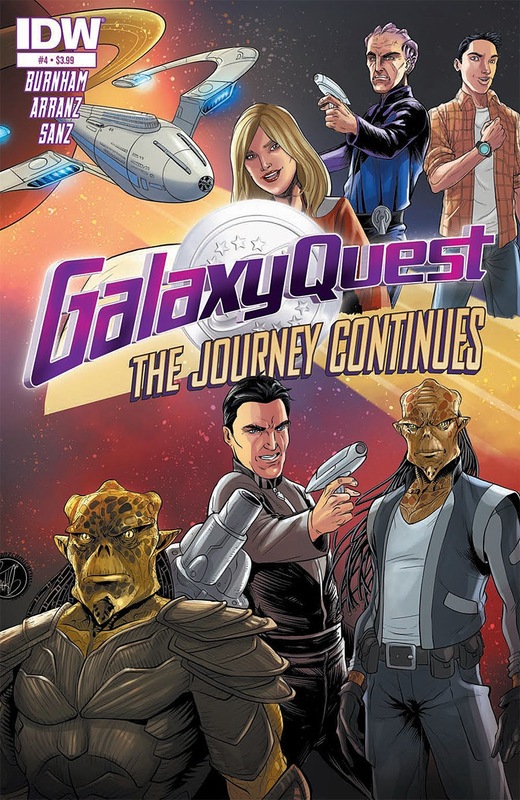 The Nineth Series for the popular characters that have spun out of The Talons of Weing Chiang and this time there is four new adventures in this new box set that will be released this month. 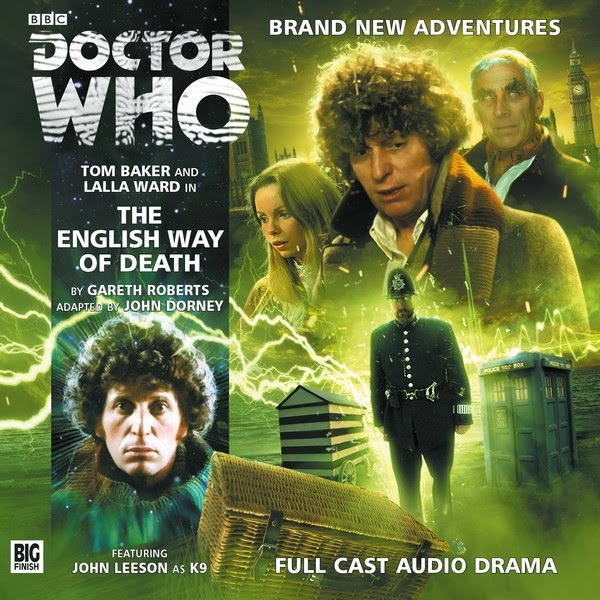 You can get it at the Big Finish website. Jago and Litefoot embark on a cruise. It’s supposed to be a relaxing break, but what terrors lurk in the mysterious fog? And what about the other ships that seem trapped along with the Fata Morgana – are they friend or foe? Or something much more frightening? Arriving at Monte Carlo, Jago is keen to try his luck at the famous casino. But if he’s not careful he could lose a lot more than just money. While Litefoot makes a new friend, Jago and ship’s purser Aubrey find themselves playing for high stakes at the Clandestine Dark Casino. Arriving at a beautiful island, Jago and Litefoot discover evidence of a missing expedition. Can they discover what happened to the ship’s crew – before it happens to them? And will they be able to avoid the amorous advances of the formidable Lady Danvers? There is a murderer loose aboard the ship. If Jago and Litefoot can solve the mystery of the strange fog and return to London, will that make matters better, or far worse? The answers lie deep in the past, and they soon learn that not everyone is who – or what – they might seem. announced Saturday, August 22, 2015 at the 2015 Worldcon. The other nominees that Listen is up against is below and Game of Thrones has won this catagory the last two years. 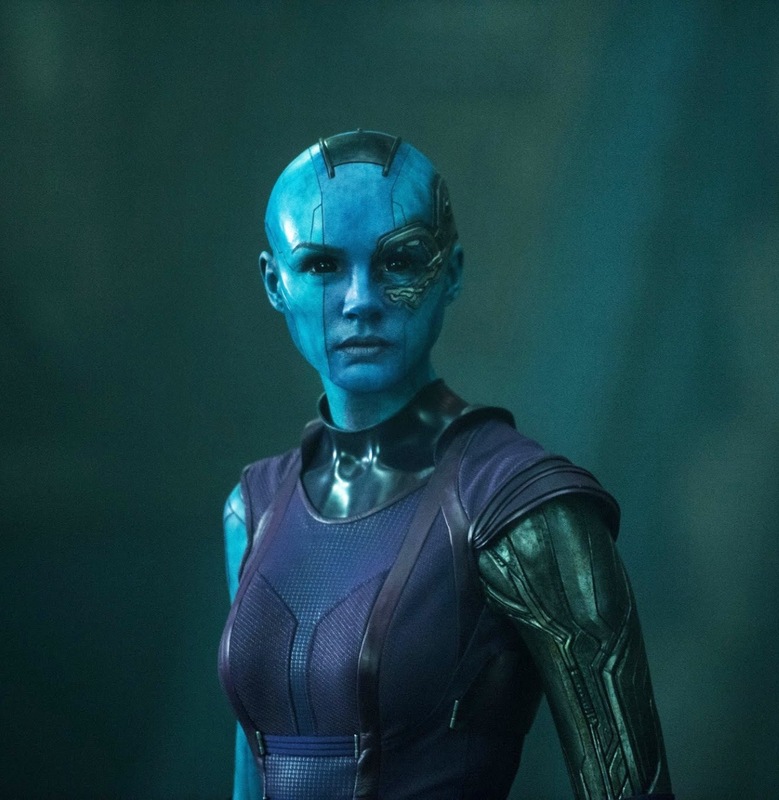 James Gunn the director for Guardians of the Galaxy and its sequel has revealed in a livestream interview that Karen Gillan will be back as the villanious Nebula who is one of many daughters of Thanos. He also revealed that they might have come up with a way for her to play the part without her having to cut her hair off. Guardians of the Galaxy 2 is slated for a May 2017 release. Doctor Who - Synopsis For Big Finish Short Trips "The Ghost Trap"
It's the 4th Doctor's turn to be featured in Big Finish's Short Trips series. This story sees the 4th Doctor being joined by Leela and their adventure takes place on a spaceship and is a ghost story. The Ghost Trap is narrated by Louise Jameson and is available now in digital download only. A bit of a background. 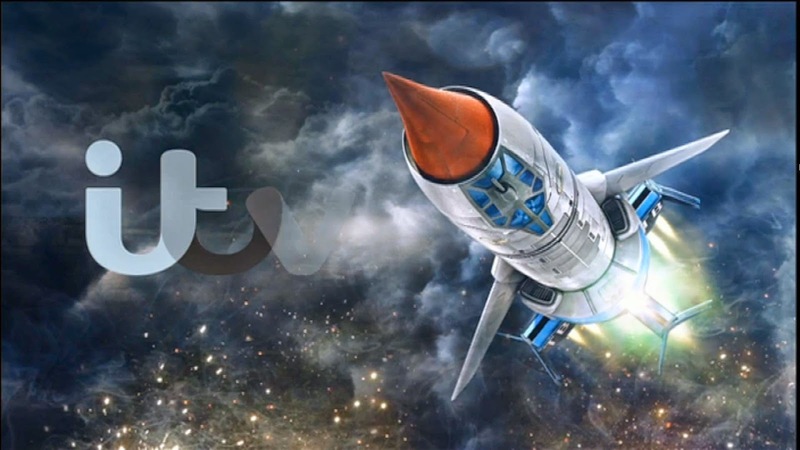 I am a fan of Thunderbirds but only got into it initially because I grew up with Space: 1999 and UFO. I did not watch Thunderbirds until I was in my 20's, in the 80's. Thunderbirds was probably my favorite of the Supermarionation series and always felt that a remake would be prime material for a successful new venture. Obviously the new remake would have to handled properly and while I think the 2004 movie version missed the mark, the new Thunderbirds Are Go series was near perfect in its execution. Gemini Force One Book - Mass Paperback Now Out! !